January 18, 2017Return to Edmonton OperaI am delighted to be returning to Edmonton Opera to sing another Rossini role! I am already having such a fun time with this cast, our director, the costumes... I could go on and on. This is going to be a hilarious show where I get to be the mean sister in La Cenerentola, while also understudying the wonderful Krisztina Szabo in the title role. Another fun fact: this show has 5 Hungarians!! Our Maestro, Peter Dala, Krisztina as Angelina, Stephen Hegedus as Alidoro, Martin Galba in our chorus, and myself as Tisbe. The Hungarians are taking over, watch out Edmonton! April 19, 2016Debut with New York City OperaI am delighted to be making my debut with NYCO as Angelina in the company's production of La Cenerentola! 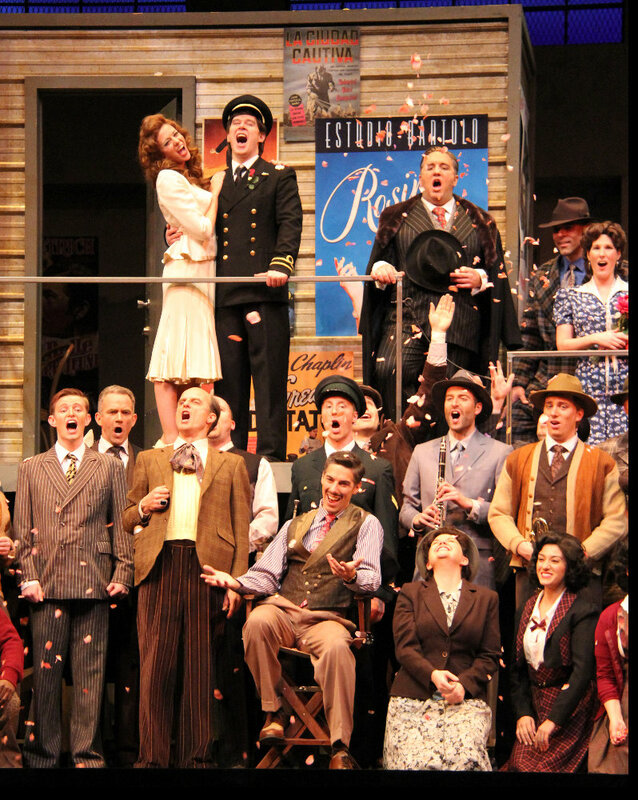 January 22, 2016Return to Pacific Opera VictoriaIt's always exciting to return to a company that you know well, but it's especially exciting when you return to the company that gave you your very first shot at a mainstage production! I am so happy to be back in beautiful Victoria, B.C. rehearsing our upcoming production of The Barber of Seville with Pacific Opera Victoria. This next month is going to be a blast! 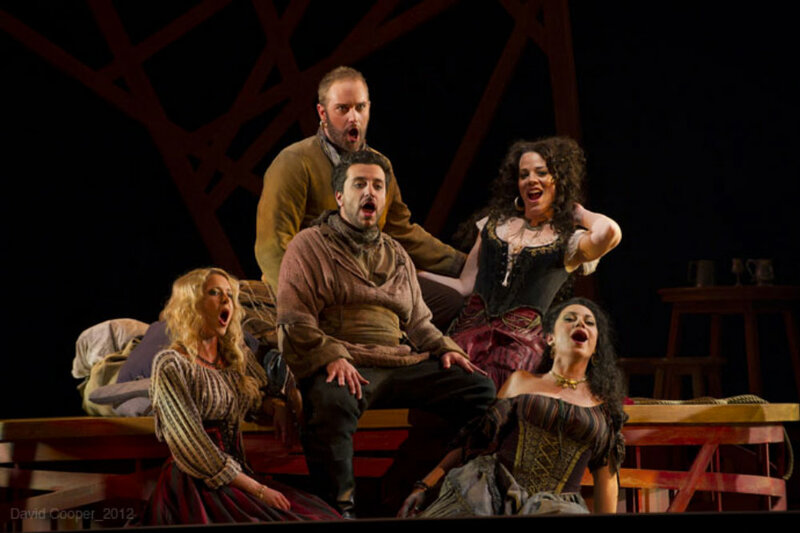 October 24, 2014Debut with Edmonton OperaIt's been an exhilarating few weeks rehearsing with the cast of Edmonton Opera's The Barber of Seville. Tomorrow is Opening Night and the audience is in for a treat - 1940's movie studio madness with Bartolo as the producer, Figaro as the studio hair stylist and myself as Rosina the movie starlet! Love this production! August 10, 2014Big Change Ahead!I'm very excited to announce that I am moving back to New York! I'm looking forward to new adventures and new opportunities in my favorite city! June 26, 2014Welcome to my brand new site!I am thrilled to announce the official launch of my new website! Check it out and let me know what you think. A huge thank you to Aestheticize Media for building the site. 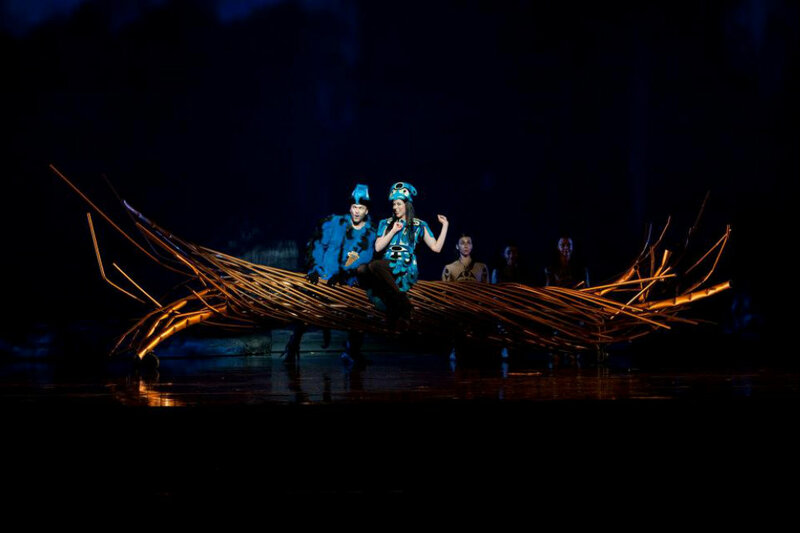 Sat Feb 03 22:31Have a fab Opening @edmontonopera!! Would love to be in the audience tonight! Toi x 3! Wed Nov 22 15:37@OnceIslandBway was beautiful!! A lot of young talent on that sandy stage! Congrats to all & all the best for your run! Thu Oct 12 20:09Wishing some of my favorite people a fabulous run of Jenufa! @PacificOperaVic @pmcgillivray Happy Opening Night! Fri Jun 02 00:46@MHBobsledder Phew! Suggestions coming your way!! Mezzo-soprano Sylvia Szadovszki has been described as having a “smooth mezzo” (John Jane) with “virtuosic coloratura” (Olaf Zenner). The Hungarian-Canadian singer’s upcoming season includes a return to Edmonton Opera to sing Tisbe in La Cenerentola, where she will also be covering the role of Angelina. 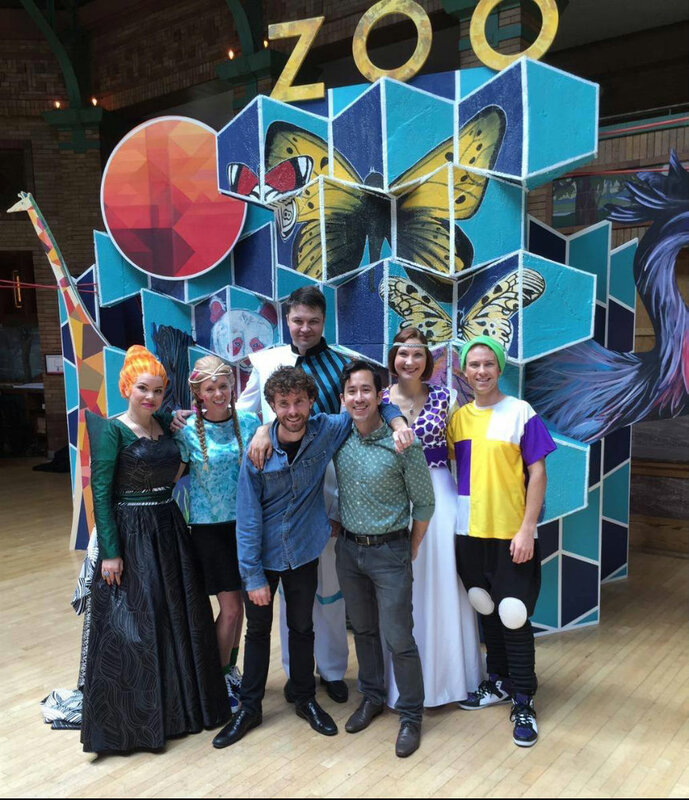 Sylvia's 2015/2016 season began with a world premiere of Matthew Aucoin's new opera Second Nature with Lyric Unlimited & Lyric Opera of Chicago, where she sang the role of Lydia. This season Sylvia sang Angelina in La Cenerentola with New York City Opera, returned to Pacific Opera Victoria to sing Rosina in The Barber of Seville and performed Hansel in Hansel and Gretel with Skagit Opera. 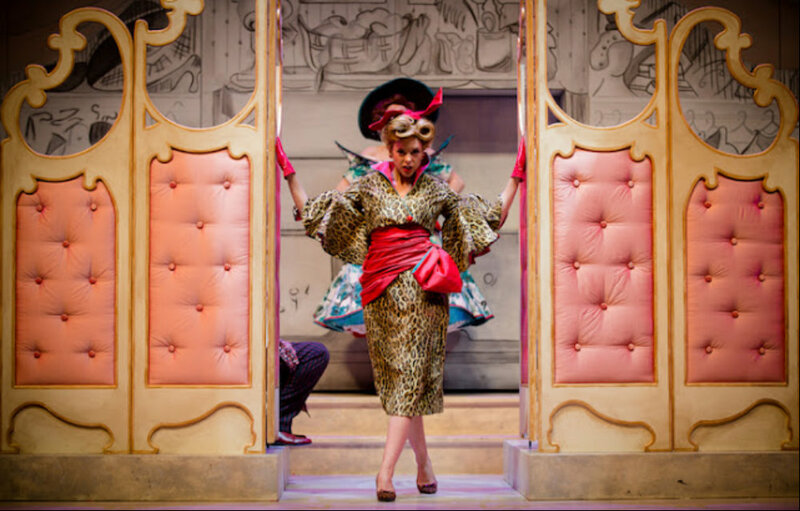 During the 2014/2015 season, Sylvia made her debut with Edmonton Opera as Rosina in their production of The Barber of Seville, sang Mercedes in Carmen with New York Opera Exchange and performed in concerts with Early Music Vancouver and renowned early music specialist, soprano Ellen Hargis. She also performed as a guest artist at The Sugar Soirée, a fundraiser held at the City Winery in New York for Congenital Hyperinsulinism International. Sylvia's 2013/2014 season included the role of Nancy in Vancouver Opera’s production of Albert Herring, the Alto Soloist in Handel’s Messiah with the Vancouver Symphony Orchestra and the Vancouver Bach Choir, the Alto Soloist in Vancouver Metropolitan Orchestra’s Spring Fantasy Concert, and a recital with Maestro Leslie Dala and soprano Rachel Fenlon at Vancouver Opera. Ms Szadovszki was a member of the inaugural year of Vancouver Opera’s Yulanda M. Faris Young Artist Program. During the 2012/2013 season she sang Papagena in The Magic Flute and Kate in The Pirates of Penzance. Sylvia understudied the roles of Second Lady (The Magic Flute) and Lu/Shadow/Ritualist (Tan Dun’s Tea: A Mirror of Soul) and performed in numerous concerts showcasing the Young Artists in the greater Vancouver area. 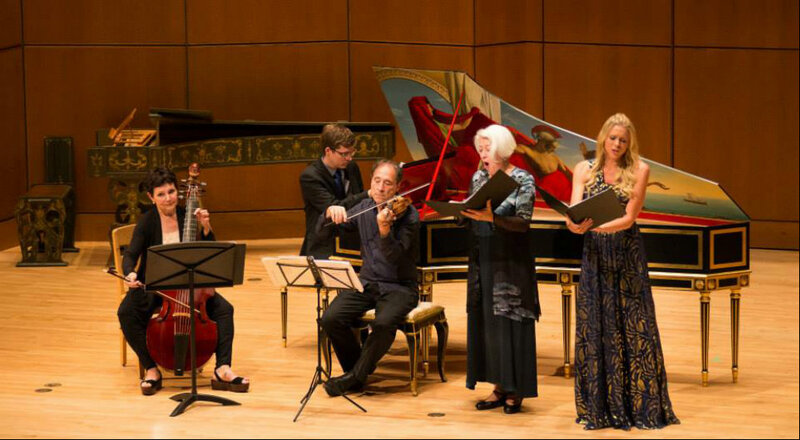 Ms Szadovszki also had the unique opportunity to work with composer Don MacDonald and perform an excerpt from his piece Khaos during the Opera America Conference in 2013. Later that year, Sylvia was invited to sing as a soloist for Pacific Opera Victoria and Victoria Symphony’s Printemps à Paris gala. 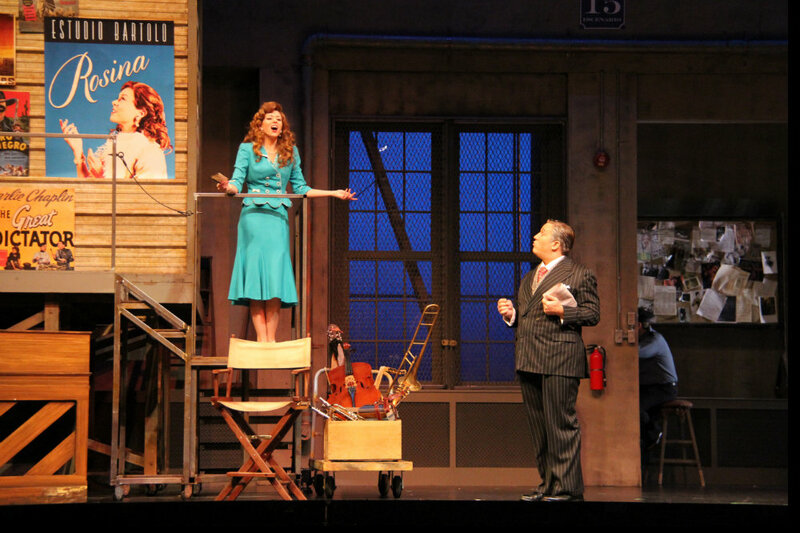 Sylvia made her Canadian debut singing Mercedes in Carmen with Pacific Opera Victoria in 2012. During her time as one of the company’s Emerging Artists she performed in various concerts on Vancouver Island, including a gala concert with the Victoria Symphony. Ms Szadovszki made her German debut as Rosina in Theater Hof’s production of Der Barbier von Sevilla (Rossini’s Il Barbiere di Siviglia) in 2012. 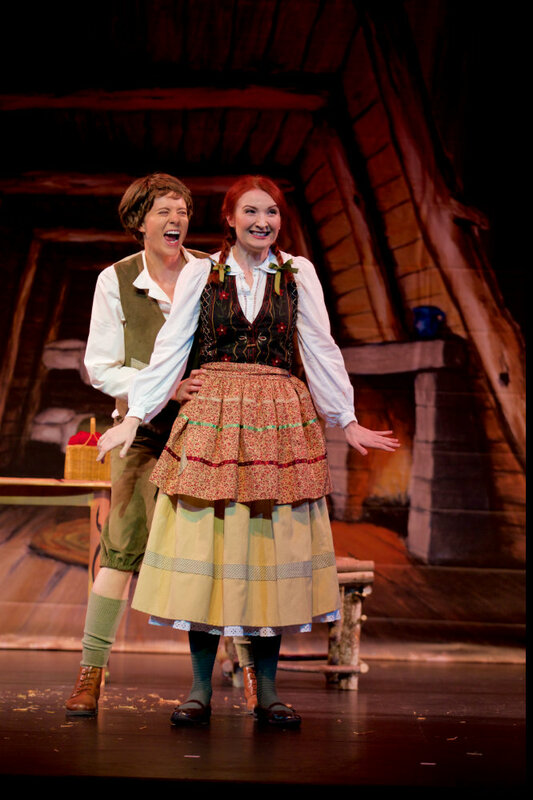 She was thrilled to begin her professional career touring with Vancouver Opera In Schools’ Hansel and Gretel, singing the role of Hansel in almost 50 performances across British Columbia in 2011. 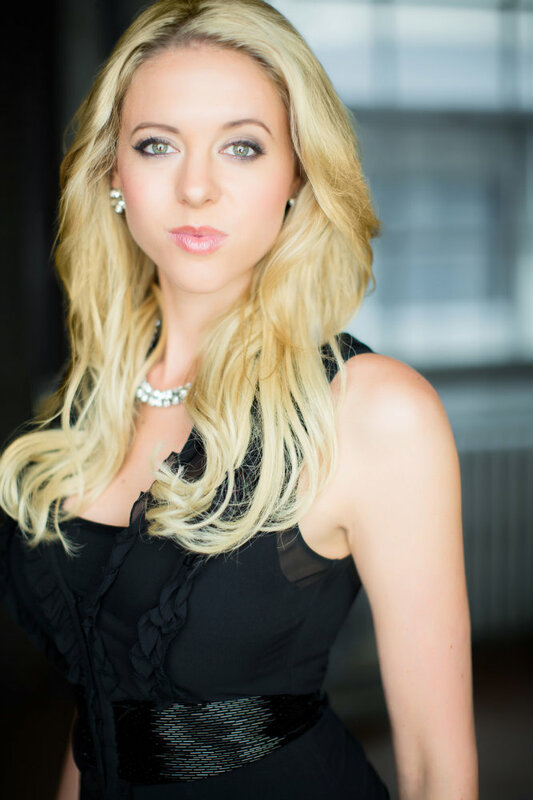 Sylvia was a Northwest Region Finalist of the Metropolitan Opera National Council Auditions in both 2011 and 2012. She was selected as a Jeunes Ambassadeurs Lyriques Laureate by Théâtre Lyrichorégra 20 in 2011. Sylvia has received grants and awards from the Vancouver Opera Guild, the Vancouver Opera Foundation and the University of British Columbia. Ms Szadovszki holds a Bachelor of Music degree from the Manhattan School of Music (2006), a Master of Music degree (2009) and a Diploma of Music and Performance Studies (2011) from the University of British Columbia. Sylvia currently resides in New York City and studies with Margaret Lattimore. 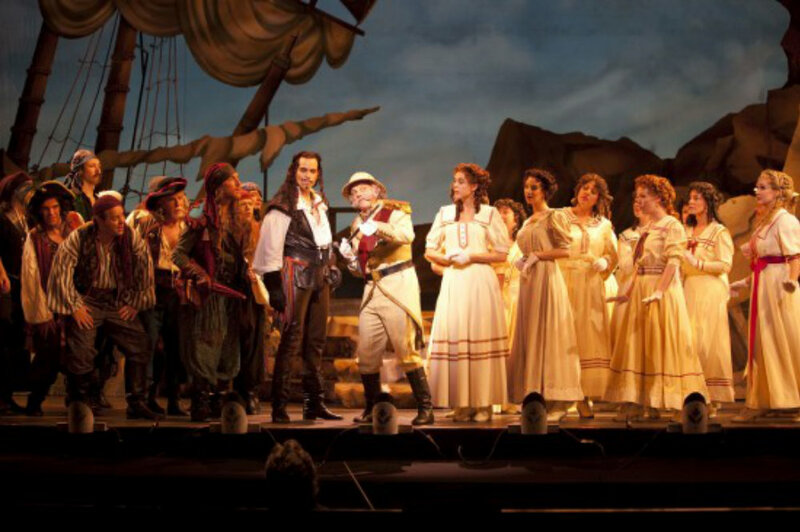 "No one sang better than Szadovszki, who makes a suitably pretty and charming Rosina. Displaying a lush, attractive voice, the young mezzo impressed with her clarity and projection. Singing with a nicely rounded vibrato, Szadovszki navigated treacherously tricky coloratura passages with aplomb. 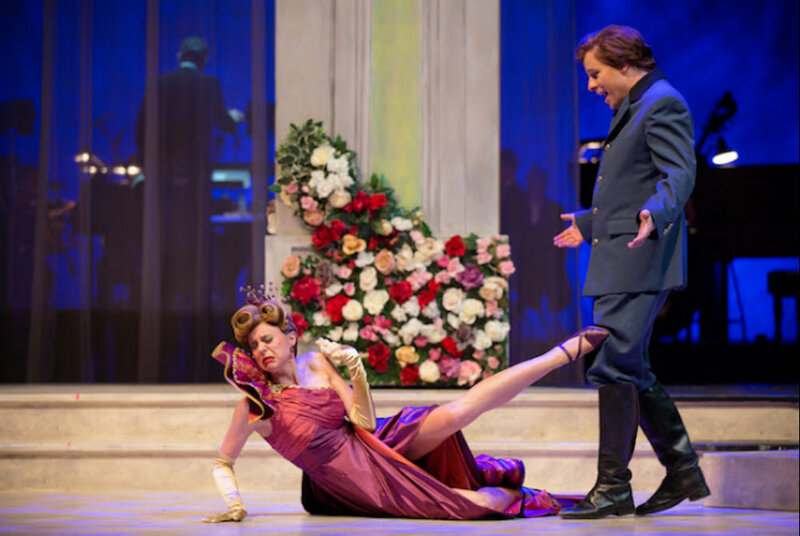 Her aria 'Una voce poco fa' (in which feisty Rosina promises she can sting like a viper as well as be gentle) was wonderful, especially the thrilling high notes." 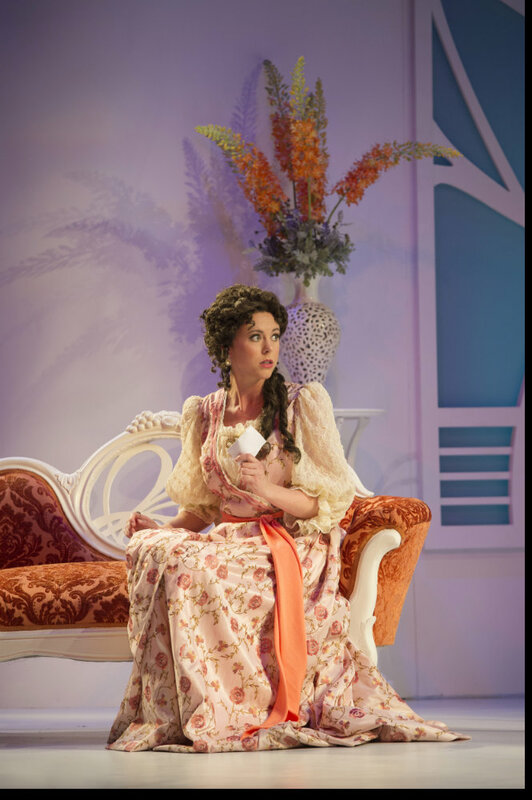 "... the clear-voiced mezzo Sylvia Szadovszki as the love interest, Rosina. Szadovszki has a charming, mobile face that she knows how to use, good coloratura and solid high notes." "Szadovszki, here making her EO debut, had a confident stage presence and the vocal technique for the bel canto coloratura effervescence. 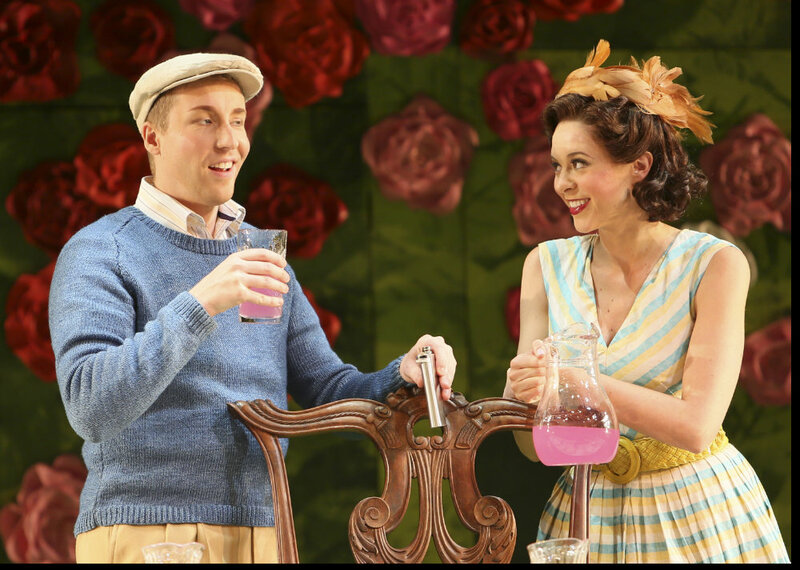 She was comfortable with the physical expectations of modern productions; the scene in her starlet's trailer with Figaro in Act 1 was especially assured." "Szadovszki pouted and flirted as Thisbe as if to the manner born, and she and [Caitlin] Wood, as sometimes the only two female voices in a large male ensemble, more than held their own." 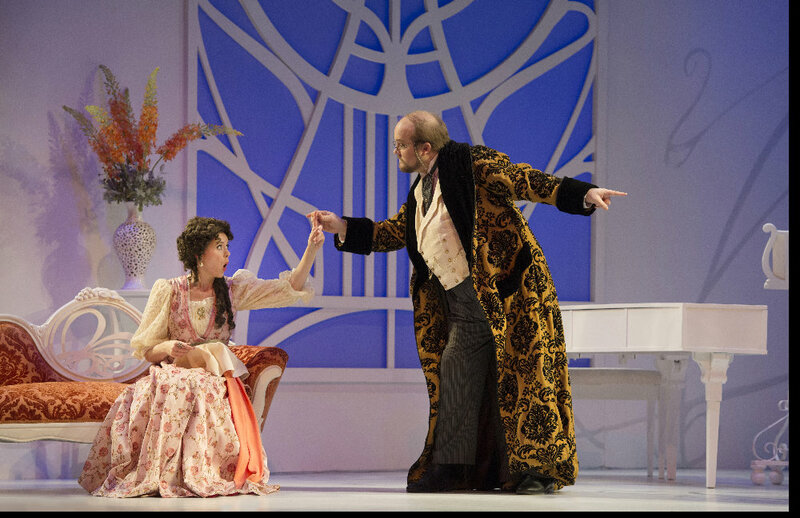 "... the casting, both vocally and theatrically, was exemplary... the breezy, devil-may-care chemistry between baritone Aaron Durand and mezzo-soprano Sylvia Szadovszki made their portrayal of this pair as fetching as it was credible." 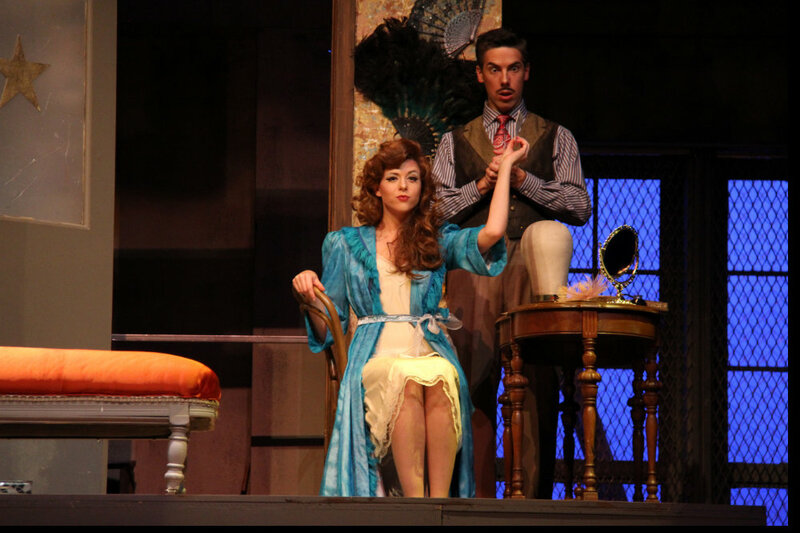 "Ms. Szadovszki brings a smooth mezzo to her role of a complex free spirited Nancy..."
"The uniformly fine cast included... Mezzo-soprano Sylvia Szadovszki and tenor James Onstad, two fresh-voiced young singers, were very appealing as the leads, Lydia and Jake." 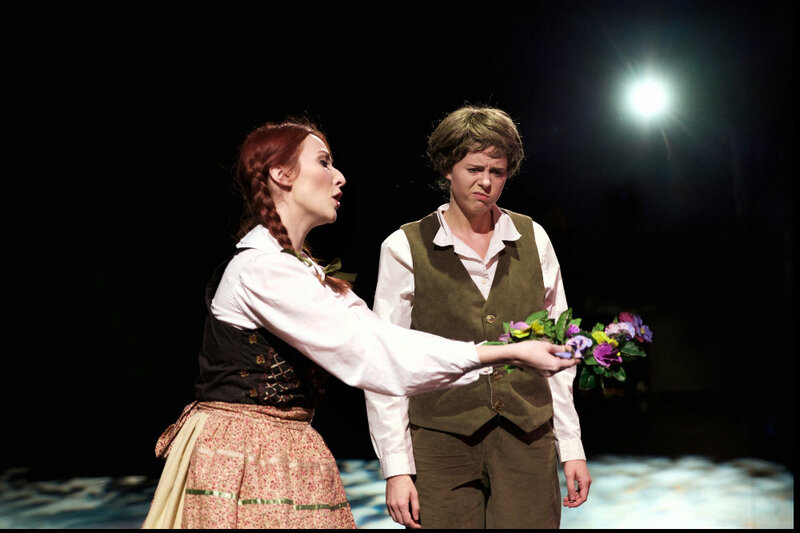 "Sylvia Szadovszki (Rosina) was pleasing with her young voice, which has a bright timbre and fine vibrato. 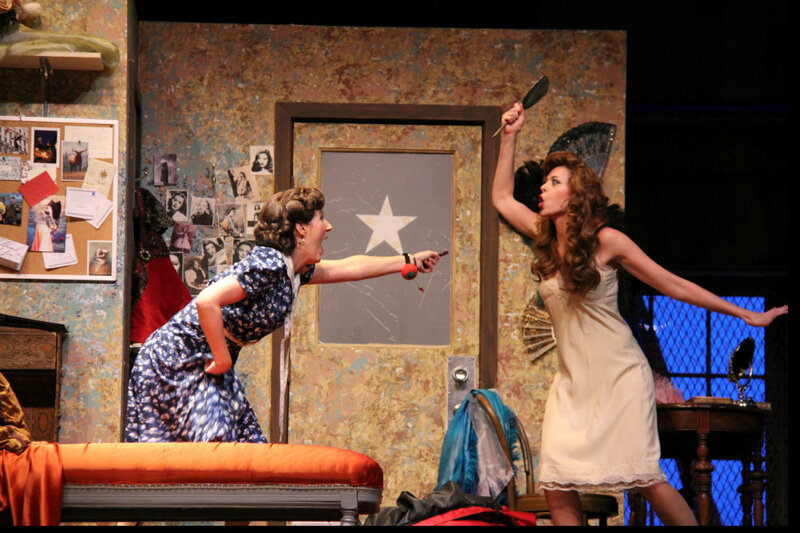 Her virtuosic coloratura is not only chipper, it gives Rosina's flirtatious character expression. The Act 1 aria succeeds in being both musically and theatrically appealing, with her strength clearly in her high notes." 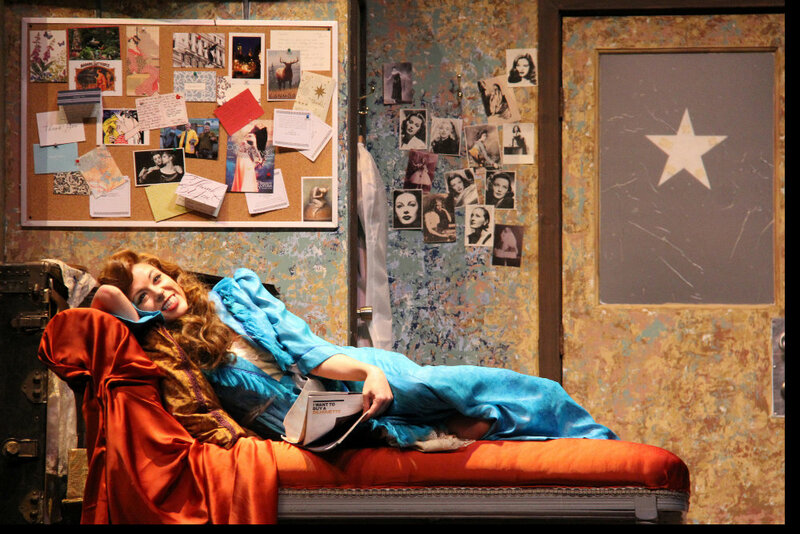 "Sylvia Szadovszki is absolutely riveting as Despina. Truly fetching in both her arias... she pretty much steals every scene in which she appears; particularly when disguised as a doctor and later as a notary." "Finally, it was a delight to hear Sylvia Szadovszki's fiery and eloquent rendition of "Diane et Actaéon" by Boismortier. A pupil of Hargis for the past week, she demonstrated that she has learned well." Sylvia Szadovszki sings "Voi che sapete"
Sylvia Szadovszki sings "Enfin, je suis ici"